DEBORAH CROMBIE: I live in a sports-free household. Really. My hub does not watch ANY sports. Especially team sports. Ever. Except maybe the Superbowl if we're invited to a party with good snacks. It's not that he doesn't know the rules, he does. It just that he thinks the games are boring. Especially baseball. I have to admit I didn't grow up watching baseball. My parents watched football (Dad was a huge Cowboys fan), and horse racing, and golf. (Watching televised golf is right up there with root canals in my book...) It was only when I was grown that I learned my dad had coached the Dr. Pepper women's softball team, which was a big deal! So he must have known and loved the sport, and why that didn't translate into watching pro baseball I don't know. So I only came to baseball when my daughter started playing softball, and I loved it. We were Texas Rangers fans. We went to the games, we listened on the radio, and I discovered that--at least to me--there was something magical about baseball. I still try to keep up. I follow the Rangers sporadically, usually all by myself in the kitchen. And I almost always try to watch the World Series, no matter who's playing. And this year, if not my Rangers, the Houston Astros have a chance! If ever there was a year when Houston needed a boost, this is it!!! And if ever there was a year that demonstrated the crazy absurdity of baseball, this is it!!! Homers, sliders, wild fly balls, plays missed that should have been made and plays made that should have been missed. A team that has never been in the series, a team that hasn't gone to the series in thirty years! Bonkers all round! What about you, Reds? Any baseball fans? Have you seen these crazy games? 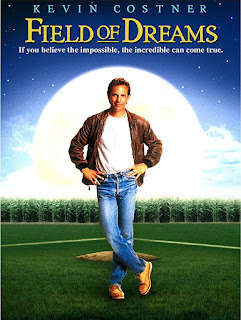 (I think I have to dig out our copy of Field of Dreams, which is still my daughter's favorite movie. I'd be torn between that and Bull Durham--what a hoot.) 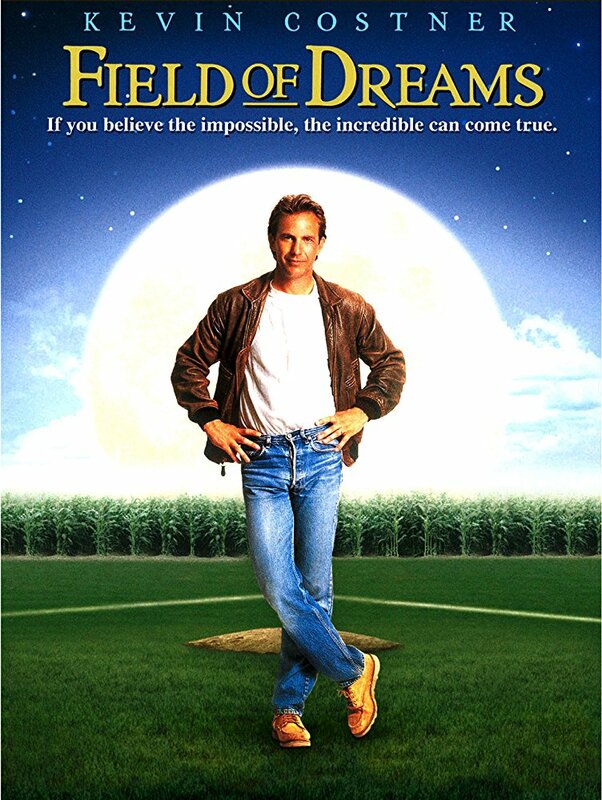 Any favorite baseball movies you pull out this time of year? I sleep from about the fifth inning on. Wake up near the end... which has lately been MANY innings in. Very exciting games... or at least that's what my husband says. RHYS BOWEN: I'm a sports nut. If someone is competing against someone else I'll watch it, even if it's darts. Yes, in England they televise competitive darts! I even enjoy curling and you can't get much more boring than a stone moving slowly down an ice rink, being swept at with brooms. I'm not too keen on football, but I LOVE baseball. I'm a big Giants fan (well, we did win the World Series three times in five years!) and I what I like best is to go to spring training in Scottsdale when I'm there in the winter. Such an intimate setting and you can see the players up close and personal. AT and T park in SF not so much. It's always freezing cold and windy when I go. But I'm happy to watch on television until the score is really bad and then I can switch channels. JENN McKINLAY: Card carrying member of Red Sox Nation here! I watched so many games with my grandmother as a kid - she was a huge Carl Yastrzemski fan - that baseball has always been a part of my life. After I moved to AZ, the Diamondbacks arrived and I split my allegiance between the two teams. When Hub and I were first dating, his dad shared his season tickets with us. I like to think those baseball games gave us plenty of time to make sure we were each other's "one" so no matter what baseball will always have a special place in my heart. 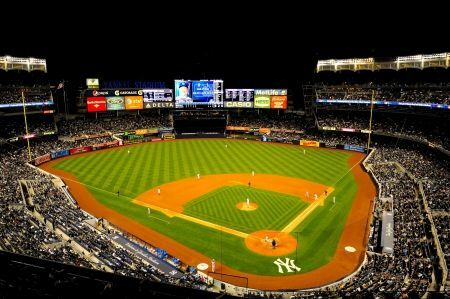 INGRID THOFT: With a few exceptions, baseball is not my thing, although I will always be a Red Sox fan since it’s practically engraved on your birth certificate if you’re born in Boston. So what are those exceptions? A game at Fenway is an experience unto itself. The guys hawking “beah!” in the stands, the Green Monster, Yawkey Way. If ever you have the chance to take in a game at Fenway, take it. I’ve also had the pleasure of attending a couple of Seattle Mariners' games perched high above the stadium in a suite, which really is a whole other ball game. The game is still the same, but somehow, the time passes more quickly when you’re in a comfy seat with catered food! JULIA SPENCER-FLEMING: I married into Red Sox fandom, and I've come to enjoy the games the way Ross did - over the radio. I love puttering around, maybe cleaning up in the kitchen, while Joe Castiglione describes the action in his inimitable voice. If it's not the Sox going to the World Series? Enh. I don't care. "Bill Buckner has just limped off the field, carrying the weight of the world on his back. He can ice those aching ankles all night so he can play in Game Seven of the World Series tonight, but there isn't enough ice to freeze the pain in his heart." Since then, I haven't gotten caught up in baseball much--my heart's with the UConn lady Husky basketball team! DEBS: And we are on to Game 7!!! Hank, I love your description, too. I don't think I've ever heard a sportswriter capture the appeal of baseball better. Okay, readers. Who are you rooting for, if you're rooting???? Most of the time, sports and I have absolutely nothing in common; fortunately for me, John doesn’t watch televised sports, either. But we aren’t totally anti-sport; we took the girls to the Olympics in 1994 [the ladies gymnastics finals] . . . we always watch figure skating and gymnastics and when a couple of the grandbabies lived with us for a while we even took them to a local baseball game or two. Although I generally root for the Yankees, I never turn on the games [not even the world series] unless my sister is over, because she always has to watch every single inning. Just tell me the Yankees won and I am a happy camper . . . . I grew up in a non-sporting family, so horse racing was about the limit of my interest as a child until that year I got some kind of horrible stomach ailment during the week of the World Series. Back in that ancient time they still played World Series games during the day, so I sat next to my grandfather and watched the St. Louis Cardinals--his team--beat the . . . other team, whoever it was. I'll probably have to do some research on that. Anyway, that's when I learned to like baseball, sorta. Over the years I've also learned to like golf on TV, sorta, because Warren was a fan. Never did catch the football bug, and basketball is only fun if you're right there to watch it live. But I still like to watch the Triple Crown races, particularly when my friend, the excellent bartender, invites me over to watch with her! This year I've been on the road during most of the World Series, but I'll be a Texan and root for the Astros. I am a big sports fan. Have been since about birth. Baseball? Yeah, I am a Red Sox fan (also used to like the St. Louis Cardinals because of their 1982 and 1985 teams). I've been to a few games including an ESPN Sunday Night Baseball game against the Yankees that was fantastic. But for those who had waited for years and decades, no Red Sox game will ever top the 2004 World Series clinching game. Football - I always rooted for the Chicago Bears and their Super Bowl winning team was a huge reason why. That team was truly Monsters of the Midway. The day I became a Patriots fan was the day they hired Bill Parcells as a coach, the team FINALLY making a move to become something other than a joke. Hockey - I always rooted for the Hartford Whalers, I loved the color scheme they had. But when they moved, I became a Bruins fan. College sports - I root for Boston College in men's basketball and I split my football allegiance between BC and Alabama (Roll Tide!). My women's basketball rooting interests are for the BC team, the Tennessee Lady Vols, the Missouri State Lady Bears and Mount Ida (because a former youth league player of mine is on the team). Pro Basketball - Well it is all about the Boston Celtics for me, period. For women's pro hoops, I follow two teams because of players on the team. Where they go, so goes my rooting interests. I follow Carolyn Swords who was on the Seattle Storm team this past season. And I rooted for Katie Smith as a player and now as a coach. She's been the assistant coach for the New York Liberty the past three years and was just hired as their new head coach. I've rooted for her since her freshman year at Ohio State. She's one of my all time favorite players period. And I coached youth basketball for 25 years, from the time I was 14 until I was 39. Did a pretty decent job of that at times. Had teams of mine make 16 title games, winning 11 of them. LBakaRI, some even came back to coach with me as assistants. I usually attended their high school games after they moved on from the youth league. I was a player in the league when I was a kid and the first former player to become a coach in said league. The local high school boys team won the state title about 8 years ago and 8 of the kids on that roster I had coached in their youth league days so that was a nice moment. I even wrote on a sports blog site for nearly 4 years. Wow game 7! This will be so exciting! Who’s watching? I grew up in a non-sports family, but became interested in them (as a spectator only) from a fairly young age. Admittedly, it was initially about the social aspects. Everyone talks about sports, so I wanted to be able to join in. But over time I have become a legitimate casual fan of all the major sports and more dedicated fan of football and baseball. I love the lore and superstition of baseball, and all the crazy stat keeping. Bull Durham is my all time favorite baseball movie, and almost every year at the beginning of spring training, we pull it out for a viewing. My all-time favorite personal memory of baseball was the 1988 World series, when Kirk Gibson came in injured to hit his home run in the bottom of the ninth. I had dozed off (as I often do during World Series games because I live in the Eastern time zone) and my husband woke me up to tell me Kirk Gibson was coming to bat. "He's not dressed!" I responded, still half disoriented. "He is now!" Bob replied. I was wide awake in an instant and I will never forget the sight of him gimping around the bases on two injured legs. And that, I guess is what I like most about baseball. More than any of the other pro sports, major league baseball players still seem to play with all their heart. They throw their bodies into harm's way and push themselves beyond their endurance and act like it all really matters. Not in the super macho way that football players do, but just like a bunch of guys. It's hard not to get caught up in that. And that is also what has made the current series so enjoyable. Both these teams are showing that kind of heart. I'm truly thrilled that it has gone all the way to seven games, because they both deserved seven chances to shine! I've been a baseball fan for many years. Yes, much better enjoyed live, on a nice warm day, but not sitting directly in the sun. I was rather rooting for the Indians just because, but that didn't turn out well. I don't know that I'll be watching the game tonight, but I'll be interested in the outcome. I am definitely not a sports person. The one exception is that I will attend and cheer at any sports event where I know (and am usually related to) one of the players; I have enjoyed every t-ball, Little League, indoor and outdoor soccer and lacrosse game I've sat through in the last few years. But pro sports? No thanks. I once flew to Georgia to see a T-ball game for the daughter of a woman that I had considered moving to that godforsaken sweatbox of a state. Never have I been so happy things didn't work out with someone. But the girl was so excited when I showed up that she rounded the bases and ran off the diamond and straight into my arms. I'm with Deborah R. that I only learned yesterday the World Series was on. I'm a Sox fan, so that's my excuse. I agree with Hank about the mano a mano dynamic. The appeal of baseball was lost on me until my kids took to the field in endless baseball and softball games. Then, the battle between pitcher and batter, the strategy of the catcher, and the other individual dramas hooked me. Still, if the Sox aren't playing I'm not watching (unless it's the Cubs. I can thank my dad for that). Lost the whole post again. Hate it when that happens. My dad was a big baseball nut. He listened to games on the radio, so I grew up with the voice of Waite Hoyt, the Reds announcer, in the background, and names like Sandy Koufax and Ernie Tebbits (sp?). But not being a boy--despite my dad buying me a baseball and mitt when I was two--I didn't really get into it. He also umpired for Little League, but I can only remember going to one game. My mom enjoyed, and still does to this day, watching baseball. And football with my brother, who likes all sports, including the fantasy kind. From her second husband (of three) she learned to play golf, and the background noise at their house was one game or another being played on TV (yawn). They also got into college basketball. My sister and her family are big Cowboy fans, and two of my three daughters are rabid Bengals fans, to the point where one went to England to see them play. My husband played football in high school, and for a year in college, but bless him, he is not a fan of pro sports unless there's a playoff game. So we rarely watch games on TV, and almost never in person. However, like Christine above, I do enjoy seeing my own kin exerting themselves in sport, and have watched a jillion soccer and basketball games, plus high school football when our youngest played marimba in the marching band. My grandson has played soccer, and like his aunts before him, runs track and cross-country. No ball involved, thank you very much. But best of all, no multi-million dollar salaries. Well this IS an exciting series. I'll be watching tonight... Though how convenient was it that Monday was an off-day so we could watch Antiques Roadshow. And side light: Rich Hill, last night's starting pitcher, is a hometown boy! He went to school with my daughter. Adds another dimension. That makes watching the game a lot more fun, doesn't it? How fun, Hallie! I just read that the teams may use every pitcher tonight, so maybe we'll get to see him again. I live in arlington, Texas—Home of the Texas Rangers and the Dallas Cowboys. My dad and I shared a love of sports. Even before the Rangers came to town,a minor league baseball team played in Arlington. We went to those games, early Dallas Cowboy games, etc. Great memories! As a Texan, I am rooting for the Astros! I love the spirit of their players! I have discovered that I like watching sports over the last couple of years. And by watching sports, I mean have the game on with the sound off so it doesn't distract from what else I'm trying to do. If I'm just surfing the web, I will have the sound on, but I usually have the background noise tuned out. I grew up in the Bay Area, but I've always been more of an Oakland A's fan than a Giants fan since the only games I went to growing up were A's games. I've lived in Southern California for longer than I lived up there, however, so I find myself rooting for the Dodgers this World series. Just don't tell my brother. He might disown me. Rhys, you mentioned baseball. When I was living in England, I am afraid I offended a Englishwoman when I asked if cricket was like baseball. Debs, the only time I watch sports is during the winter Olympics because I love ice skating. I started ice skating classes when I was 2 and half years old, though I could not skate on my own until I was 6 years old1 . I kept on trying and trying until I succeeded. Enjoyed reading all of the Jungle Reds' comments. Last night's Game 6 was a good game, but it was normal baseball. But who knows what will happen in Game 7? I'll be watching! #HoustonStrong! Can I just add, what is it with the beards? I like the trimmed ones (might even have a bit of a crush on Astros pitcher Justin Verlander) but what started the trend for the biblical beards? Many sports figures grow beards for the playoffs for good luck. That redheaded Dodger reminds me of Hagar the Horrible. Pat D - I just snorted coffee out my nose - so thanks for that. LOL!!! Playoff beards were usually a hockey thing but it has spread to all the sports. Pat D, I like your description of Hagar the Horrible for that Dodgers player Justin Turner. Author Peter David described him as Volstagg from Thor comic books. Those shovel beards are a hipster thing, too, so maybe that explains it? Why anyone would want to resemble a pioneer without access to electricity or razors is a mystery. LOL Karen! Cracked me up!! The Chicago Cubs are a part of my identity. They have been since I was old enough to know what baseball was. When we won the World Series last year I was in England and couldn’t watch the games, but I followed along on the baseball app on my phone. Game 7 and with 3 outs remaining, I went into the bathroom (so as not to wake my friend in the next room) and using FaceTime called my daughter back home so that she could turn her phone towards the TV. With my daughter and husband on the other end of the phone, I got to see my beloved Cubs end their 108 year drought. I stood and cried like a baby. Anyone who knows me, knows what being in England means to me, but I never would’ve thought I could regret being there so much as I did that night. Oh, Julie! I can just imagine poor you in the bathroom trying to be quiet!!! Buy yay for the Cubs!!! For years watching baseball was as exciting as watching grass grow. In the 80s my son was old enough to play on a Kiwanis team. Even though I worked I made darned sure he got to all his games and that I watched them all. I started picking up things about the game. About that time the Jacobs brothers bought the Cleveland Indians team and started rebuilding. I went to some of the games. I watched on TV and learned so much from the announcers about the players, what the pitchers could throw, strategy. My very favorite player was Omar Vizquel. I still have a couple of t-shirts from two different league championship years. My Indians never won the Series while I lived there. We also went to the minors' games in Akron and totally enjoyed seeing rising stars. 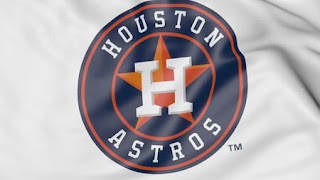 Now I'm back in Houston and rooting like all get out for the Astros. I see so many similarities with my old Indians team. And I'm in love with Jose Altuve. I've got my league championship t-shirt for the Astros. I haven't worn it yet; that might be bad luck! This series has been so fabulous with 2 teams so evenly matched. I knew it would all go down to Game 7. I'm hoping the Astros are magic tonight! Oh, Pat D. the whole LUCK thing. SO critical! Pat D, I never buy anything less than a title winning championship t-shirt, much less wear something lesser because it would be bad luck. Julie, I know that each and every time one of the Boston sports teams won a title (Patriots 5, Red Sox 3, Celtics 1, Bruins 1), I didn't bother staying quiet. Screamed my bloody fool head off in joyous glee every time. I grew up an hour away from Cincinnati, Ohio and the Cincinnati Reds baseball. During baseball season, my father either watched on television or listened to on the radio. As the youngest child, I was often alone in the car with my mother and father going somewhere when the games were on the car radio. I only went to one live game though. These were the days when the Cincinnati Reds were on top, with Johnny Bench, Pete Rose, George Morgan, and others. However, I moved to the western part of Kentucky when I got married at 22, and they lean more towards the St.Louis Cardinals. I don't keep up with baseball anymore. My passion for sports lies in college basketball, and more specifically with my alma mater's team, the University of Kentucky Wildcats. We really are crazy for our Cats, and even before attending U.K. and cheering the team on at games then, my parents were fans, too. My husband and I met at U.K., and so it is a passion we share, too. We even watch it together, calling back and forth, if he's at his place in Kansas. I was the bored family member in U of W Husky country. I want to like sports but really would rather be reading. I will watch March Madness with the sound off as it looks like giants performing ballet. oh almost forgot I do love horse racing, having 2 animals involved makes it much more interesting. Baseball is soothing. Remember George Carlin's routine comparing football to baseball? still true today. p.s go Astros. George Carlin had great stuff about sports. I loved his rules about what is and what is not a sport. My Dad and I listened to the games on the radio. Love sports! I think Edward Lear beat Ogden Nash to the Old Man With a Beard. I left the second comment earlier today, and - not for the first time - my comment is gone. What gives? Nope, not for me, nor hubs. He played AA ball for the Phillies before he was drafted (into the Marines, not the Pros-that tells you how long ago it was) but now, although he claims Sox fandom I can only think of one time we watched (Yep, the big one - take that Babe). I married into Dodgerdom. While I'm not all that interested in baseball per se, I find people who are fascinating. Vin Scully is a national treasure and gentleman. His play by play seamlessly interspersed with great stories were so easy to listen to. Spring training is Phoenix is a delight. So many people loving their teams and introducing children and grandchildren to baseball.